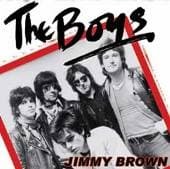 Almost 30 years after The Boys rejected it as a possible single, now out on 7" vinyl! (limited edition of 500 copies). Recorded live at London's legendary Roxy Club in April 1977, just a month before going into the studio to record their debut self-titled album for NEMS Records.